Those California brushfires should provide a lesson to us every day, and it is quite simple. In a country where political rhetoric and hate speech are at gale force, and correspondingly when our land is in tinderbox condition, no one should be playing with matches. But to no one’s surprise, Trump has a lot of company, and the tragedy in New Zealand underlines the need for this country’s political leadership to start lowering their collective voices. Unfortunately, we have a supposed leader who seems to be hell-bent not only with tossing matches helter-skelter but using language as an accelerant to further inflame his base. It wasn’t exactly subtle. Trump seemed to suggest at the time that armed conservatives could take matters into their own hands and stop Clinton’s agenda. I can tell you, I have the support of the police, the support of the military, the support of the Bikers for Trump – I have the tough people, but they don’t play it tough until they go to a certain point, and then it would be very bad, very bad. But the left plays it cuter and tougher. All of this talk about tough guys and Second Amendment people reminded me of a remark that was made the evening after the 2016 election. As we were processing the spectacle of a con man who, notwithstanding six bankruptcies, boasting about groping women, encouraging Russia to hack his opponent’s websites and, in spite of it all becoming the next president, a friend made a telling remark that came to mind this week. Never mind that his audience was Fox News, NRA and talk radio types who despise Democrats, people they derisively call libtards and other words designed to evoke contempt and extreme hatred for those who don’t share their views. Add to that another troubling factor – diGenova, the lawyer who talks about having civil discourse in this country, threw matches to incite a base that has threatened the media with violence. Katy Tur, who covered Trump for NBC News, comes to mind, along with Ben Jacobs, the Guardian reporter who was bodyslammed by Greg Gianforte, the Montana Republican, just 24 hours before an election. And never mind that Gianforte was rewarded for his assault on the reporter by being elected to the House. An attorney, trained to settle disputes through persuasion and rhetoric in the practice of law, lectures us about civil discourse while encouraging his like-minded followers to buy guns. Go figure. But we have already been warned about what might happen if certain extremist groups don’t get their way, just like the way my friend warned about the day after Donald Trump became the heir-apparent. We dodged the bullet in 2016, when Trump supporters did not have to gather in the streets brandishing their weapons, which too many sympathetic state legislatures have encouraged them to display and carry during the last several decades through NRA-friendly legislation. But we should not forget the warning that was published in the Washington Post, amazingly, on November 8, 2016 – Election Day. That report focused on right-wing groups like the Oath Keepers, identified as “one of the largest radical antigovernment groups in the U.S.” by the Southern Poverty Law Center, and plans for violence in the event of a Clinton victory. Warnings were also published about the potential for unrest after the election of a Democratic House majority last November, all pointing to the potential for violence in this country in the months ahead. 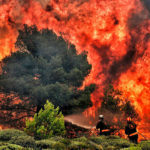 In all of this, other types of brushfires have spread from California to envelop most parts of our land, and they are driven and intensified by what people hear on the airwaves and read on social media. It is past time to realize that in this country, all of us need to spread the word that it’s dangerous to be playing with matches and gasoline and for uttering the words that will cause a conflagration. So let’s take Joe diGenova up on his concern about civil discourse. While we’re at it, let’s ask the incendiaries on the right to lower their voices. That includes the provocateur-in-chief, Donald Trump. 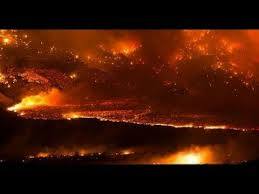 The land is dry, and there is a threat of fire across the continent. 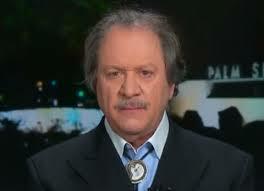 After all, when the subject is civil discourse, it’s about the very people who, like diGenova, vote and buy guns.